The chapter starts as Kaname enters the Vampire Council and kills them all, except for Ichijou’s father. Yuuki tries to work in tangent with Zero, but she can’t because of Zero’s emo arrogance that he wanted to kill Rido by himself. Yuuki also get in trouble but she is only saved by Zero’s timely interruptions with his vines flowing from his body. Zero didn’t want any interruptions with his fight with Rido so he throws Yuuki off the roof for he knows she will interrupt. Oh did I just said that I’m starting to hate Zero? I take it back ^_^ God he’s so hot! Fortunately, Yuuki landed on the back of Aido safely. Then as the Day Class people start to panic, she aska hi if he could at least help them find comfort from their panic. Yaaayyy!!! Rima regains her consciousness! And ooh! She’ll drink Shiki’s blood later! I love this coupling very much! Yuuki gives an end to Rido. 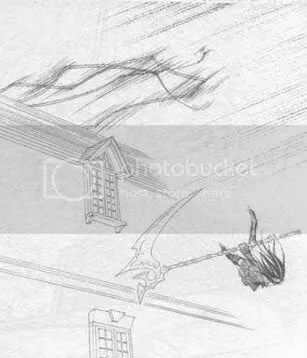 As the battle continue, Rido appears in front of Yuuki in his Bloody Curtain form. He forms behind her and begins to mistake her for her mother, Juri. He confesses his true desires for her and his frustations for his love. Yuki then cut out his confession by piercing his chest with her Artemis Scythe. Zero then comes and continually finishes him by his flowing vines, cracking up Rido’s form into shattered pieces, with the exception of a hand which remains its light grip on a lock of her hair while caressing Yuki’s face. Next Round: Zero v.s. Yuuki! Can’t wait! Having thought that it as all over, Yuki was wrong. 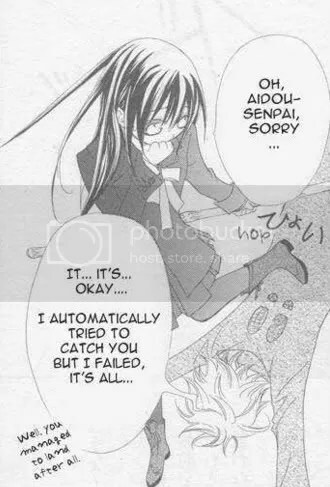 Zero points his gun at her, revealing his true intention to kill all pureblood vampires, including Yuki. She is slightly shocked when Zero reveals his intent to kill her, but stands firm with the Artemis Scythe ready at her side. End of chapter! 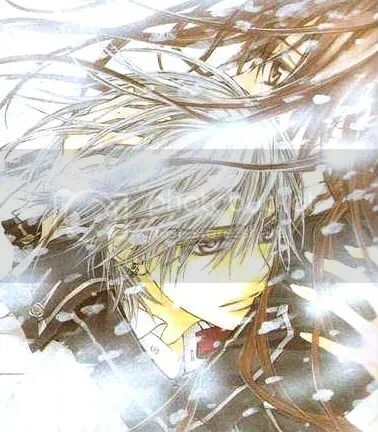 I hope Vampire Knight would continue up to at least 2 more volumes and keep up its action! Wow. Finally Chapter 43 came out! I’ve been waiting for this since ages! Then again, the longer the wait, the better the reward! @kiruxsuki: Lol Kaname should die too… then Rima and Shiki will now be the main stars of Vampire Knight XDD!! !